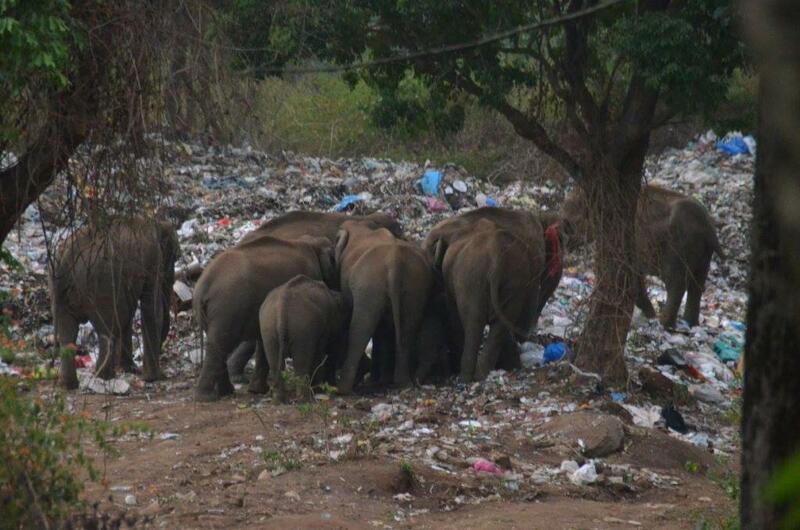 A garbage dump yard in the middle of an elephant corridor between the Ovely estate and Mudhumalai is attracting tuskers and other animals from the nearby forests in search for food. The dump yard has plastics and broken glass waste of an entire town of a population of about 50,000 people. It is located on the Ooty highway in the Gudalur Municipality in Nilgiris district of Tamil Nadu. According to the district administration, the land is privately owned and leased to Gudalur Municipality for dumping. The dump yard is not only attracting the elephants but also wild boars and leopards from the adjacent Mudhumalai Tiger Reserve. According to local sources, the dump yard is a four-acre-site on the Naduvattam road where local administration dumps about 20 tonnes of waste generated by the town every day. The dump yard lies near the elephant corridor along which wild pachyderms migrate. The rubbish is dumped into two pits gouged out of the earth inside a tea estate that is barely 200 metres from the Gudalur and Naduvattam main road. DTE contacted the Tamil Nadu Forest Department for further information on this. While claiming helplessness owing to the apathy of the local administration, Forest Ranger R Selvaraj confirmed that the department is monitoring the area continuously and shooing the elephants seen approaching the dump yard but it is not an easy battle to wage. “The dump-yard is adjacent to the lush vegetation where elephants have been feeding. However, with food remains in the dump including that of the jackfruit (which has a strong alluring smell for the elephants), it is a herculean task. We cannot deploy forest guards around the dump-yard round-the-clock,” he says. A senior forest official requesting anonymity says that the Forest Department has written to the Municipal Corporation stating that the dump-yard falls in the notified forest area under the elephant corridor. “However, there has been no response yet,” he says. There was no response from the Gudalur Municipal Corporation to DTE queries. However, an official in the neighbouring Coimbatore Municipal Corporation says that the plans are on to erect solar fences around the dump yard. This, however, will be to little avail. The local non-profits have also petitioned to the municipal corporation to another site. The action remains to be taken.